Within The Last 12 Months 12 - 24 Months Ago I Cant Remember ! If you supply us with contact details of a preferred contractor please ensure they have appropriate insurance for the work they may undertake on your behalf. If you have the relevant insurance cover letters for the various trades please attach them below OR if you do not have them to hand please ask your preferred trades to visit our Tradesman Section to upload their Insurance details so we can add it to your file. Until we have this we will not be able to instruct them to do work at your property. 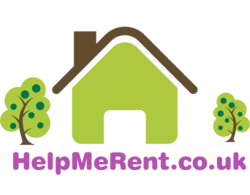 HelpMeRent.co.uk reserves the right to use a common sense approach within statutory guidelines in respect to maintenance tasks. There are often occasions where due to the urgency, time of day or perceived nature of the job HelpMeRent.co.uk will need to act efficiently, this may result in a third party contractor being hired when there maybe an insurance policy in place or a preferred trades-person on file. We will always explain our actions with regards to maintenance tasks and we promise to NEVER add an undisclosed fee or % to a contractors invoice. If you would like to speak to HelpMeRent.co.uk further about this statement please e-mail info@helpmerent.co.uk.